The success of an organization depends on several factors. The primary factor is effective communication. Having an effective communication structure increases coordination, cooperation and teamwork among employees. Formal communication structures based on job roles, organizational charts, workflow or functional boundaries can sometimes fail to reveal complex interactions in a business. 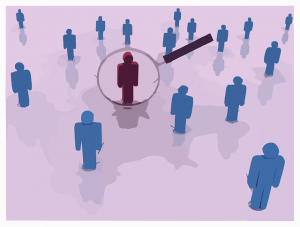 The revelation can be achieved through Organizational Network Analysis (ONA). It is a system used to map, visualize and analyze emerging networks that exist in an organization. Employees naturally create systems outside the formal or hierarchical structures to solve problems, share information, make decisions or support each other. Through such networks, employees’ maximum productivity and efficiency is attained because they relate informally. Organizational Network Analysis enables you to uncover and adopt more efficient and result oriented networks. Research conducted by Price Waterhouse Coopers revealed that employees are more responsive or less resistant to change initiated and managed through the informal structures. This study encourages organizations to shift from the traditional formal hierarchical networks to the contemporary informal networks. Revelation of the actual emerging relationships in an organization to identify, assess and streamline information flow in an organization. Identification of key players and most influential employees to enhance communication flow and improve business results. Identifying strategy and innovation groups to help you tap into them and find key resources to increase the competitive advantage for the business. Establishing the new and more efficient way to coordinate and communicate with employees for better response. This is necessary particularly when initiating change like adopting new technology, culture or any restructuring. Identification of sustainable linkages in a firm and how to improve such linkages. Organizational Network Analysis is applicable in many areas of an organization. The essential applications are identified below. Traditionally, most companies identify emerging leaders on the basis of experience, qualification or historical success. This technique known as the top-down approach is skewed, and it can cause a company to promote incompetent or unproductive employees at the expense of the employees critical to the success of an organization. By employing the bottom-up approach, you will be asking your employees who they turn to while making decisions. Also, you will identify emerging leaders, reliable individuals that solve problems and motivate other employees. Hence, you will choose the best leaders among your employees. A high rate of staff turnover is reported when employees feel unappreciated or disengaged. Using Organization Network Analysis, you can determine employee relationship with supervisors, employee access to personal support and contribution to decision-making or problem-solving in the larger network. If an employee lacks access to support, has a poor relationship with the supervisor or is disengaged, you can begin measures to rectify before it is too late. To be successful, you must consistently develop and retain strategic leadership. These are leaders who can deliver in a matrix environment, cooperate in different functions and lead without power. Personal networks of a leader should support creativity, positive energy, resilience, influence, and execution. By using ONA, you can determine if leaders are effective leaders today based on such factors. Understanding data in an organization can be complex, especially if it is about people resources. Transforming the organization is important for any business. The process can be simple but making the right decisions based on data collected using Organizational Network Analysis requires someone trained that understands how to gather the information so it is valid and then to analyze the data and interpret it so it decisions are accurate and help transform the organization effectively. Related Post: Considering a merger? Use a map and power networks! 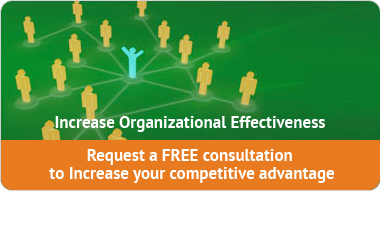 Resource: To create positive change within your organization contact us for a free consultation.